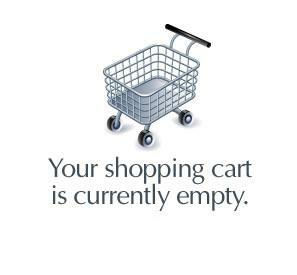 To order copies of one (or all) our books, please click the ‘Add to Cart’ button/s below to pay via PayPal, or click the link here to open our order form and pay by cheque. If you have Adobe Reader loaded on your computer, it should display the form. Print the page and fill it in by hand. Send it to our address which is on the form. £75.00 plus £11.00 delivery to a UK mainland address. (For delivery to an address overseas, please email us on steveanddarlah@inbeat.org for cost.) This is a heavy book weighing 3.5kg. Hardback cover with dust jacket. Total of 592 pages approx. 305mm x 224mm. Over 2,000 illustrations, mostly in colour. 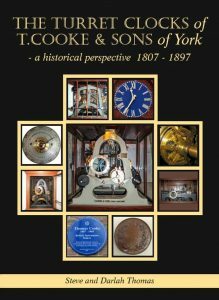 History of Thomas Cooke and his family business including all the types of clock they made, plus their world renowned telescopes, astronomical, surveying and scientific instruments. 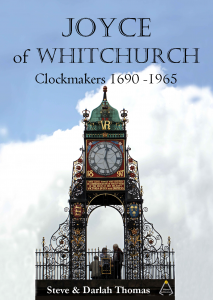 Details of all the turret clocks found, usually with three pages of illustrations of each one. 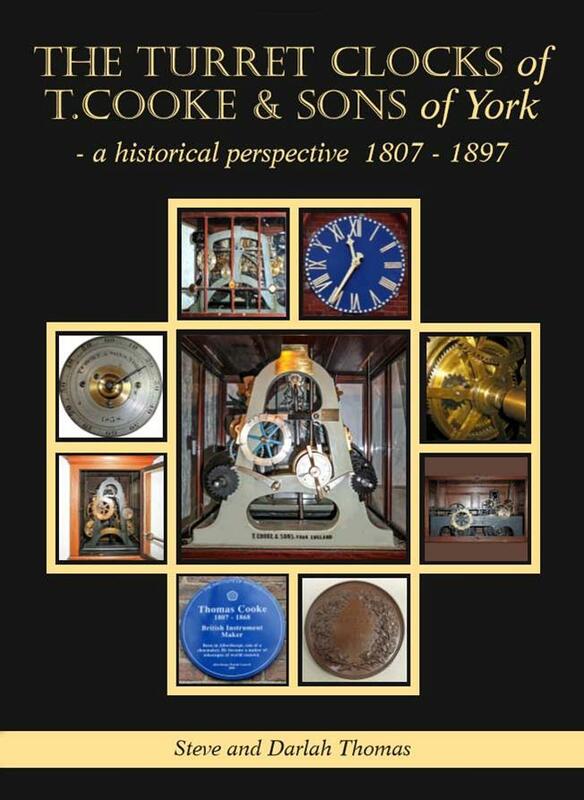 Turret clocks made by brother Barnard Cooke in Hull. 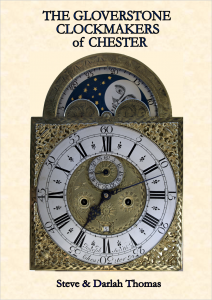 An analysis of frame styles; clocks made for the GPO and for ‘the trade’; lost clocks; pages from a Cooke Order Book, and much more. £48.00 plus delivery to a UK mainland address £6.50. (For delivery to an address overseas, please email us on steveanddarlah@inbeat.org for cost.) This book weighs over 2kg. A chronology of turret clocks tracing the development in turret clock design. A year in the life of the company – 1957 from the company Day Book. A5 softback book 180 pages 200 illustrations mostly in colour. The history of Gloverstone, a unique enclave within the boundaries of Chester but outside the city’s jurisdiction. 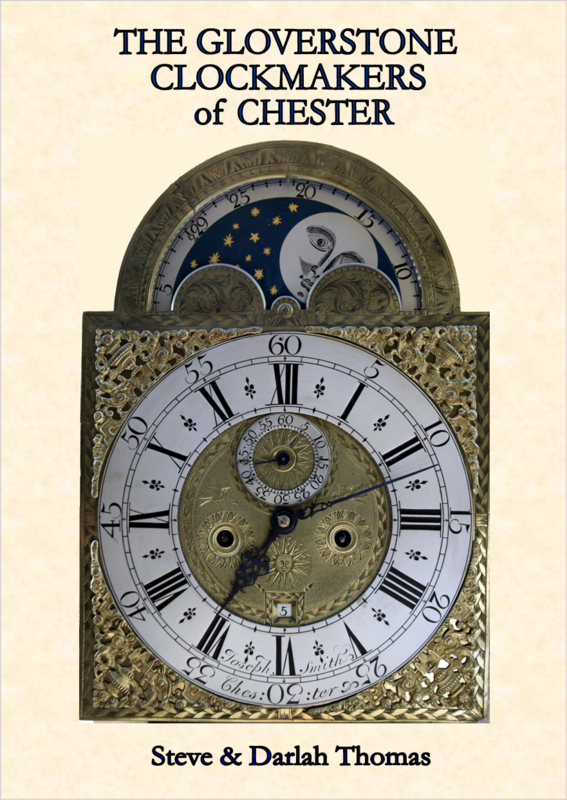 Histories of Gloverstone’s most notable clockmakers. 49 Gloverstone-made clocks illustrated and described.